Reservation can be cancelled up to 2 days prior to arrival date (Central European Time). First night will be charged after this deadline or in case of no show. Your credit card details are requested only for the purpose of guaranteeing the booking (unless otherwise specified in the hotel’s terms and conditions of sales). The actual payment for your stay will be made directly at the hotel before departure. However, the hotel reserves the right to check the validity of your credit card (pre-authorisation) prior to your arrival. As of January 1st 2011, the Municipal Council of Rome has introduced a room occupancy tax in the amount of maximum EUR 3.50 per person per night – applicable for maximum 10 days. 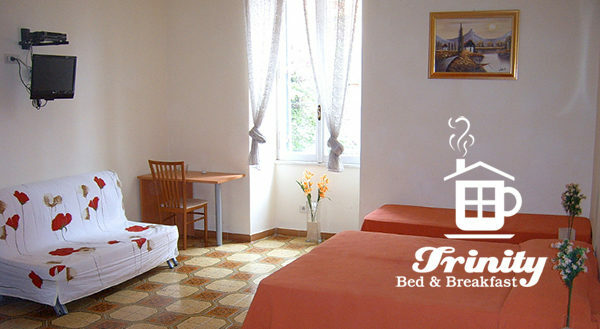 Starting from September 1st, 2014 the amount has been increased up to EUR 7.00 per person per night (depending on the accommodation type and star rating). Children under the age of 10 years are exempt from payment. The fee will be asked of anyone staying in overnight accommodation inside Rome’s boundaries at the end of each stay. The fee is not included in Agoda’s price and must be paid at the Hotel.